but if you get into many forums, you know that tracking comments on blogs is not even half of your posts. and, if you gets in really lots of forums, you'll really pulling your hair out to one-by-one see which forum have reply to your post. 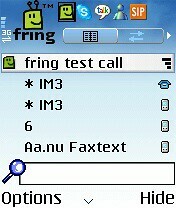 Now fring can do SIP. Gotta try this.